The Bible tells us “the fruit of the Spirit is love, joy, peace, patience, kindness, goodness, faithfulness, gentleness and self-control.” Not a banana? 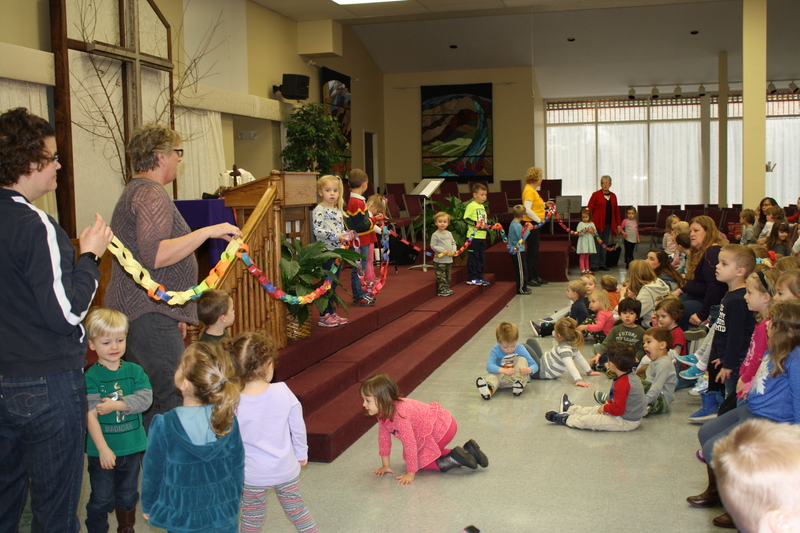 Ask your children about the silly song we sang (and acted out) about how you can’t be a banana and be a fruit of the Spirit. Don’t worry, we also took time to notice all the wonderful things we can become if we take what God and Jesus tell us into our hearts. As you can imagine we focused on kindness. The children were right when I asked what they thought about Jesus. Yes, he was kind. One of the reasons God sent Jesus to earth was to give us an example of how to live a Godly life. 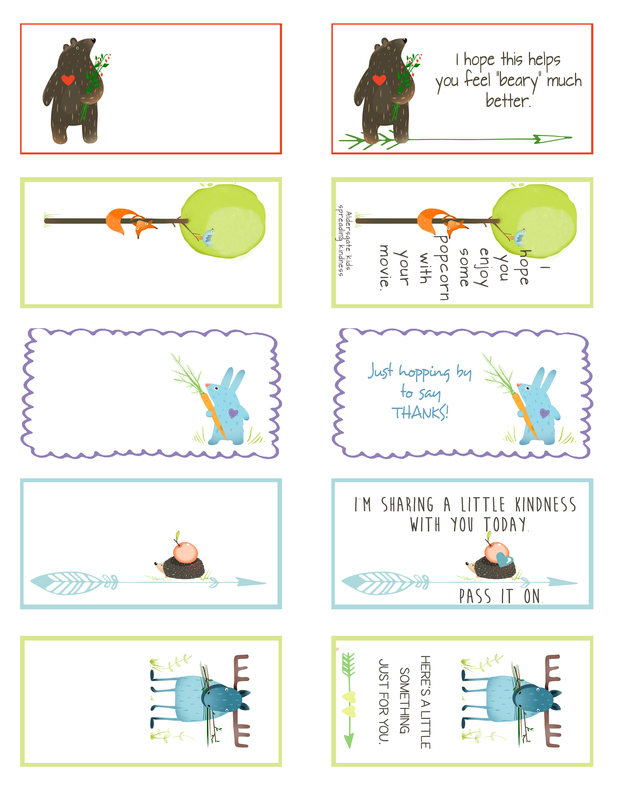 Jesus showed us how to be kind. He even healed a lame man by the pool of Bethesda. The man had no way to get into the pool. He told Jesus, “While I am trying to get in, someone else goes down ahead of me.” Jesus told him to “Get up! Pick up your mat and walk.” He healed him. Jesus was kind. I’m so glad to know our kids are taking this idea of kindness into their hearts. We have a LONG chain of kindness to show it. We stretched out the chain. It took many helping hands to hold it. 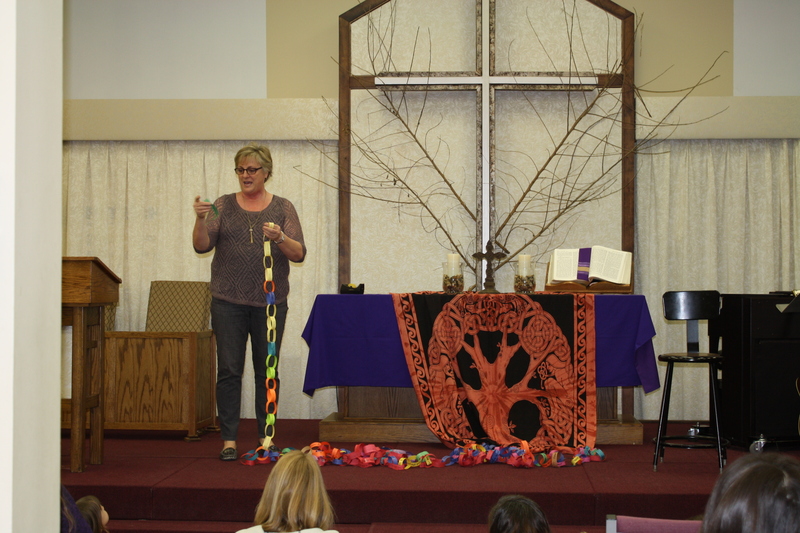 It almost stretched all the way across the Sanctuary. I wondered if there were about 20 chains links. 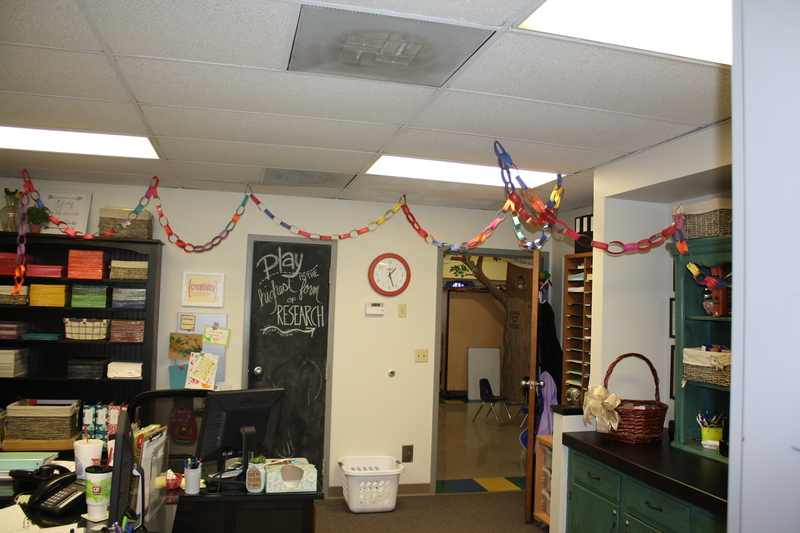 Our older kids were sure there were more, “Maybe 100!” We counted out the twenty links. That didn’t cover much of the length. My estimate is there are about 300 link! When it hangs in our office it now almost wraps all the way around! K-I-N-D kind, I can be so kind. K-I-N-D kind, I’ll be kind today. I can be kind and helpful everyday. Hey! How appropriate. 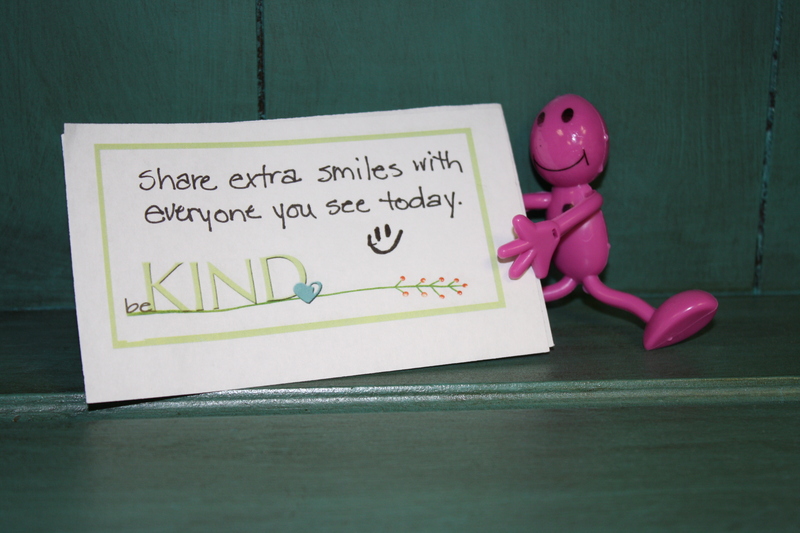 January 17th is National Random Acts of Kindness Day! I was scrolling through my Facebook feed and saw Sandra Boyton’s (the author and illustrator of wonderful children’s books) post about this. If you don’t follow her I would suggest you also receive her little bit of cuteness in your feed now and then. 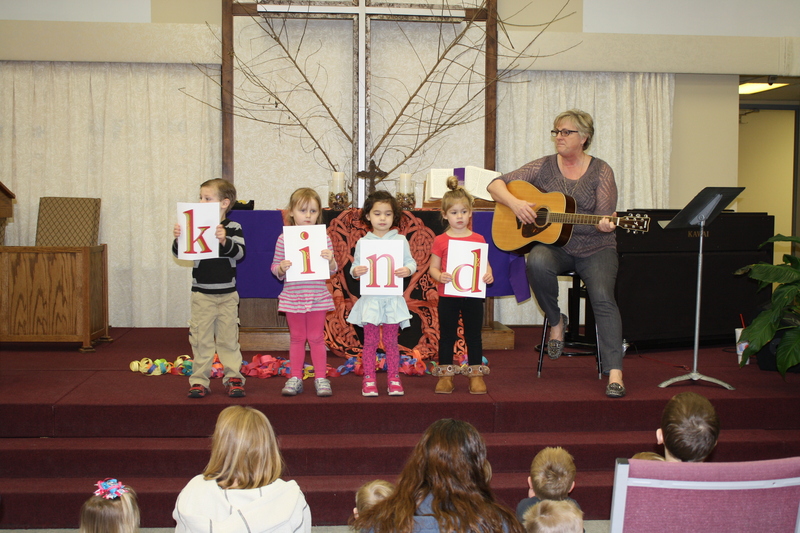 Here at Aldersgate Preschool our kindness continues to grow. I love seeing their expressions of pride and happiness as we talk about their kind acts and add links to our kindness chain. It’s now almost half way around the office – can we make it the rest of the way? Our book collection is growing. Reading in the home is one of the best indicators of success for students. 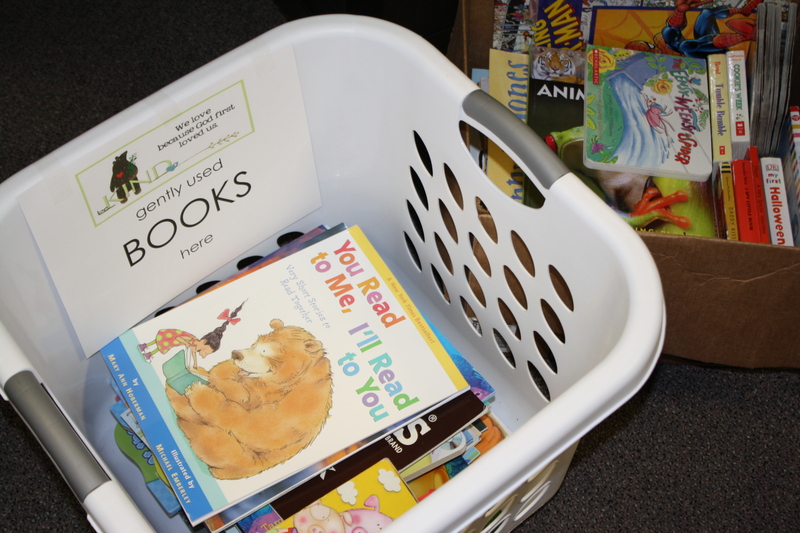 Wouldn’t it be great if we could ensure that every Westview Elementary family received at least one book to take home. The basket is in the office. Stop in to make your donation. Our kids are getting it. They are beginning to truly understand what kindness is, how it feels to both give it and receive it and the benefits of being kind. I am adding another element to our Kindness Counts project. I would love to incorporate writing into our efforts. Please have your children bring in photos from magazines, etc. that depict kind actions. We will have a large paper similar to the one below for children to add their photo and we will help scribe their words as well. 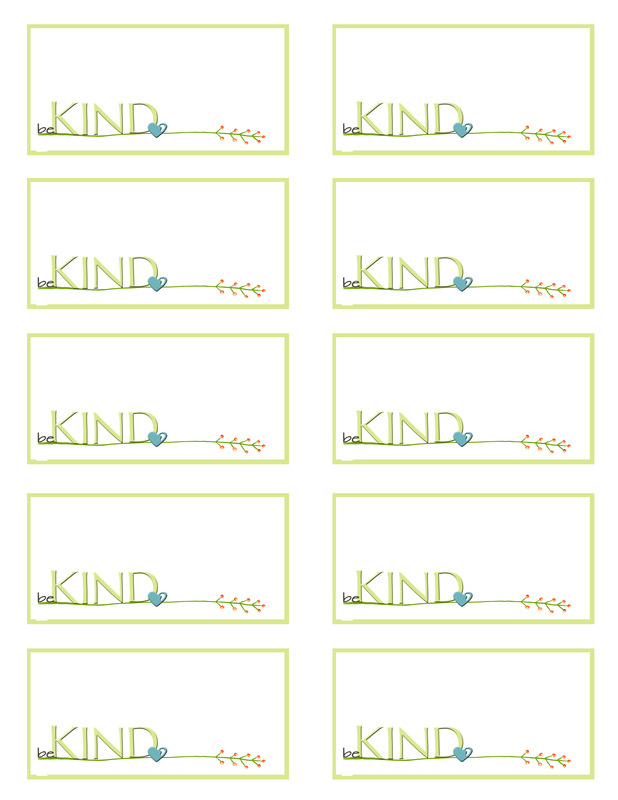 We will have our final product of our Kindness Counts Mural hanging during our Ice Cream Social for everyone to see. I’ve been noticing quotes and saying about kindness. I posted one in my own home as a daily reminder. I love my view as I work at my desk. I can see our kindness chain growing daily. Feel free to continue sending in paper links all month. The three we sent home were just to help you get started. Use any paper in any color. 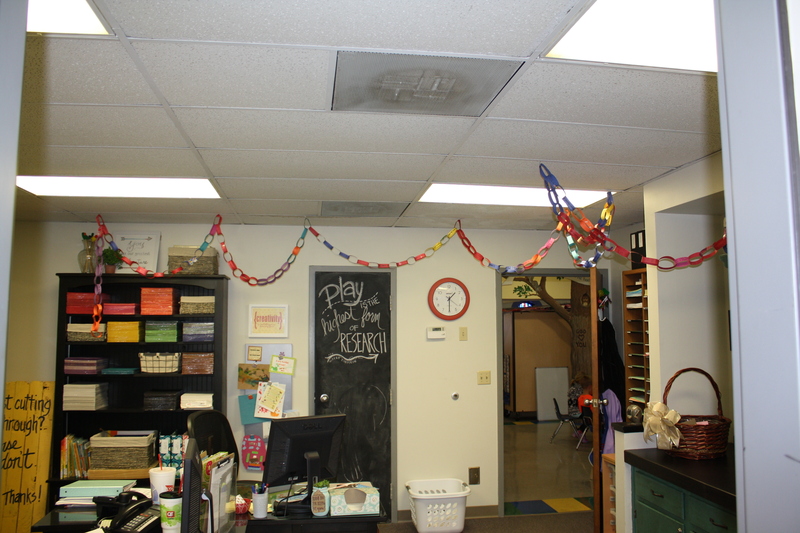 It would be great if the whole office ceiling was covered in kindness chain! We are hearing the children talking about their kind deeds and seeing them intentionally being kind in our classrooms as well. It is through our youngest hearts and minds that we can truly change the world! I’ve also been hearing about our kindness buddies. One buddy, I know, encouraged a child to bake cookies and take them to the fire fighters to thank them for keeping us safe. Is yours helping with ideas for being kind? For those following our blog that aren’t currently attending, Below is the link to a pdf of our page of ideas and cards you can use throughout the month. If you don’t have our little happy face buddy simply select a special stuffed animal as your kindness buddy for the month. I’d LOVE to hear about the nice things happening in your home and community. What are your children excited about doing for others? 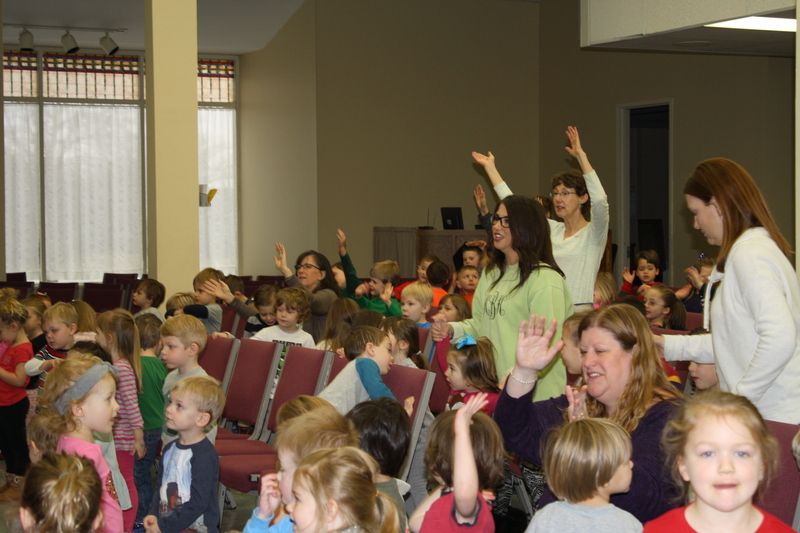 Please share your stories in either a comment on this post or drop us an email at preschool@aldersgateumc-ks.org. Categories: Parenting, school happenings | Permalink. February is here and with that we begin thinking about Valentine’s Day. Last year we did a “Love Letters” project throughout the month. This focus on literacy, often through notes of love, was fun and instructive. This year we are sharing our love through kind actions. Learning social norms is just as vital, if not more so, than those more academic skills. But, what does it mean to be kind? Why is it important to be kind? 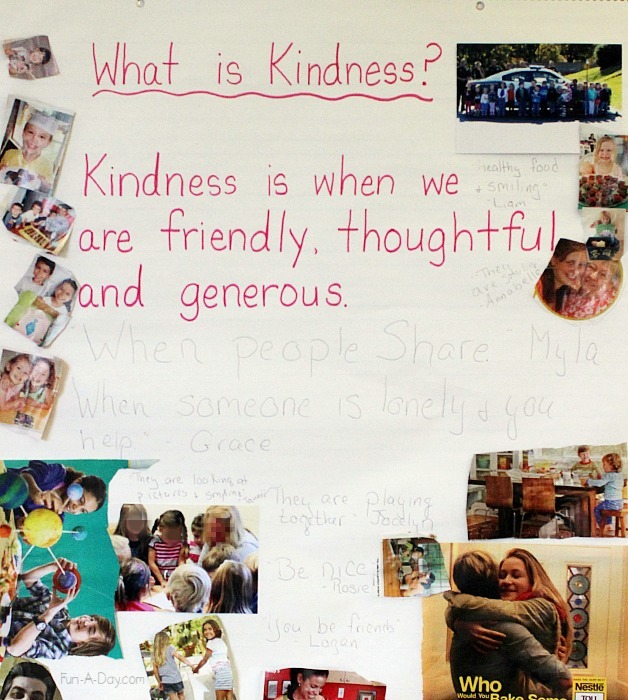 How do we teach children about kindness? I will address the other questions in later posts this month but today I am focusing on how we teach children about kindness. our actions are the key. Children learn so much as they watch the adults in their lives. They model the actions and words they hear. Children learn kindness best through watching us be kind. They notice if you hold a door open for someone walking in the store. They notice if you speak kindly to a service worker. They notice when you say “Thank you.” They notice when you help a friend by cooking them a meal. They notice if you help the person in the post office that dropped all their letters. 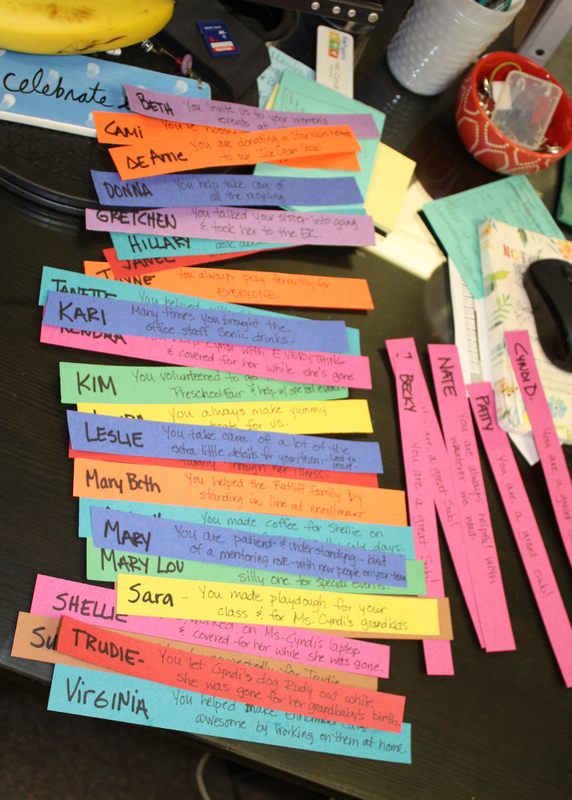 One of the things I love about my job as director is knowing, WITHOUT A DOUBT, that our staff are modeling kindness. We have the most caring group of teachers, office staff and subs! Children see them speaking kindly to each other. Children see them helping each other. Children see them picking up trash on the bathroom floor. Children see them greeting children with smiles, hugs and warm words. 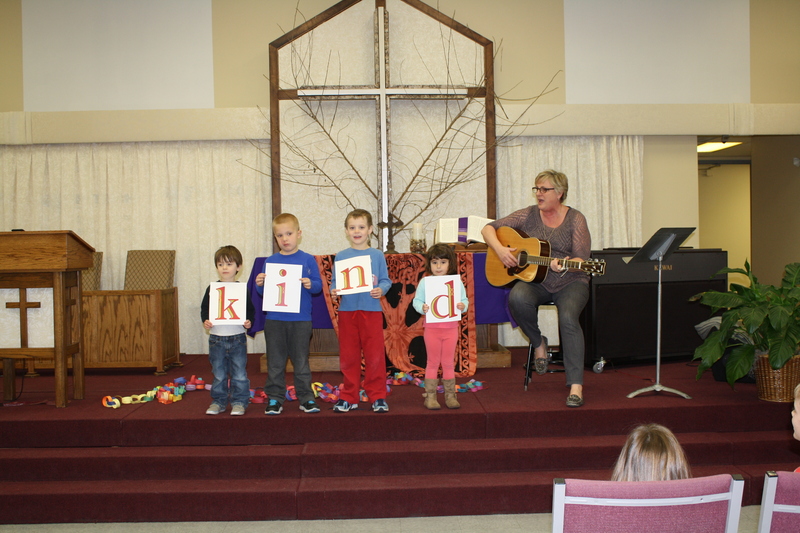 Children FEEL kindness everyday while at preschool. This week we are sending home kindness kits. In it is a kindness buddy and some kindness cards. Our parents should have received an email about these on Monday. If not, just give us a call and we will gladly send the information again. For others, I will explain more about our buddies in an upcoming post. We color coordinated strips to the class colors. 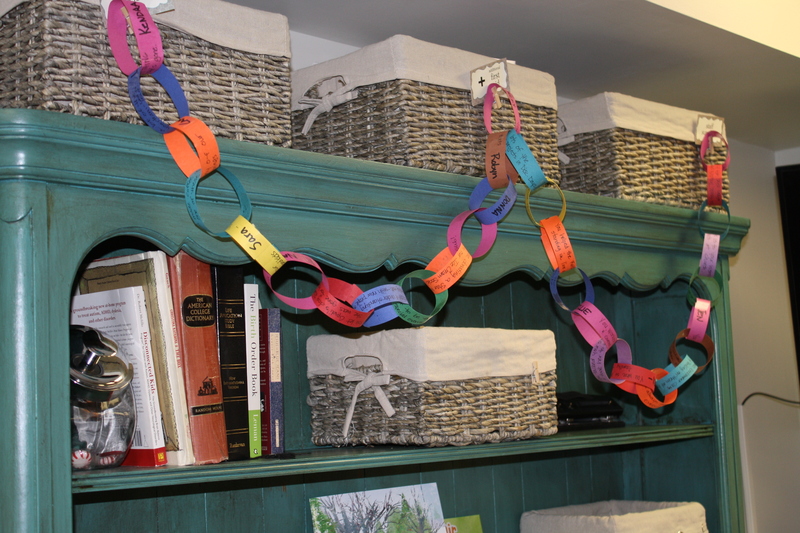 It will make the chain colorful and it will be easier for the children to find theirs again once it’s in the chain. 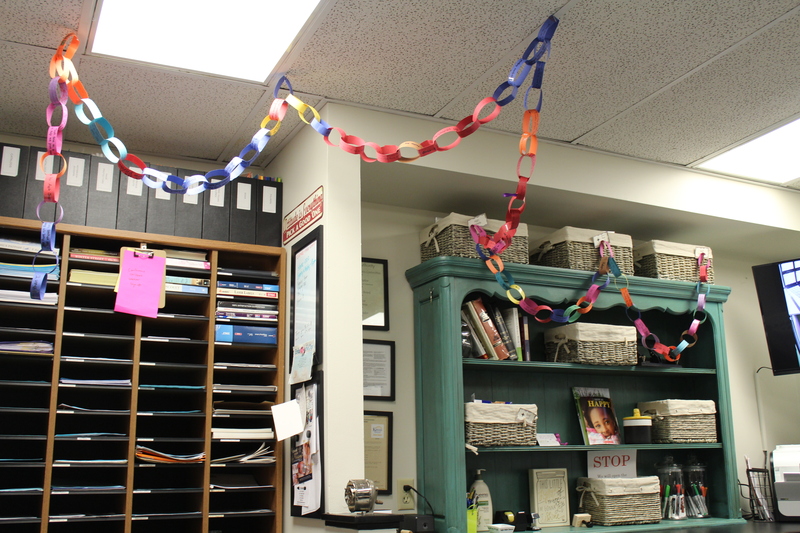 I actually started the chain with a link for each of our teachers, office staff and subs. I took a moment to write a specific kind action I’ve noticed. It was so easy to think of these! 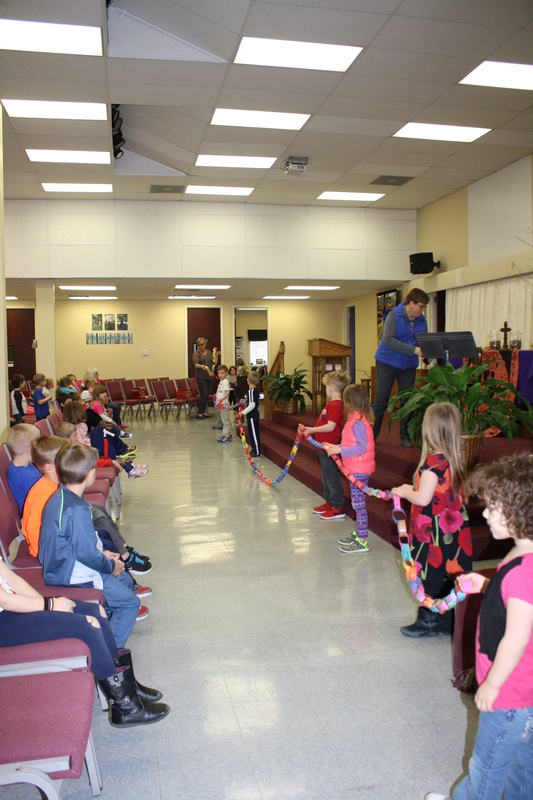 I can’t wait to see how long our “chain of kindness” becomes!